Are you interested in learning how to coordinate all of your assets and match them up with the right customer at the right time? This eBook will demonstrate how important dynamic data analytics and personalization are to the future of your organization. Competitors are constantly evolving and trying to take away your market share. This eBook will help you understand your customers and deliver relevant content and offers that are your strongest point of differentiation. You can’t go to a marketing trade show in any industry without data analytics and personalization being two of the main topics. Data analytics has become such an important strategy that the DMA changed its name from the Direct Marketing Association to the Data and Marketing Association. Data and personalization has to be at the heart of any campaign, whether digital or print. Customers demand relevance and plenty of your competitors are trying to give it to them, but the reality is they are not yet effective at it. 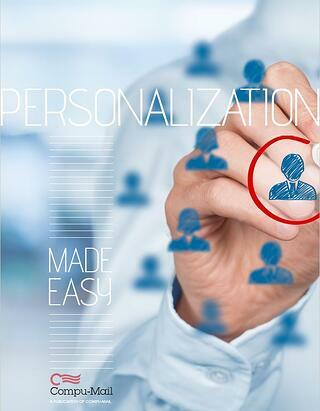 Marketers need to know that not all personalization is equal. Recommending someone buy drill bits after buying a drill is not personalization, it’s just a timely suggestion. Recommending a pair of shoes as a sneak preview to a first mover customer because you know it fits within their fashion style is the level of personalization that can separate you from your competition and create the brand loyalty you will need to gain market share.